The Hotel Consuelo is provided with all modern comforts. Guests enjoy large, comfortably furnished rooms with balcony, bath with shower and private services, telephone, Telesat TV antenna to receive the European programs. The Hotel's air conditioning and heating systems, lift, lounge, flower garden, guarded car park and covered garage add extra comfort and security. 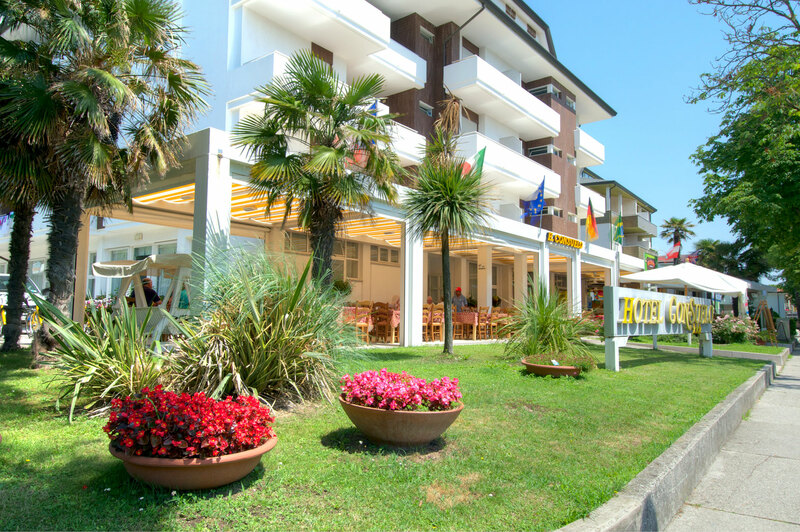 The Hotel's Restaurant offers a particularly distinctive cuisine and a varied daily menu.The perfect organization and warm hospitalitv of the Doimo family are, for the guests of the Hotel Consuelo, the guarantee for an unforgettable holiday in Lignano Sabbiadoro.